Early on in the planning stages I realized there needed to be a mailbox for the love letters. 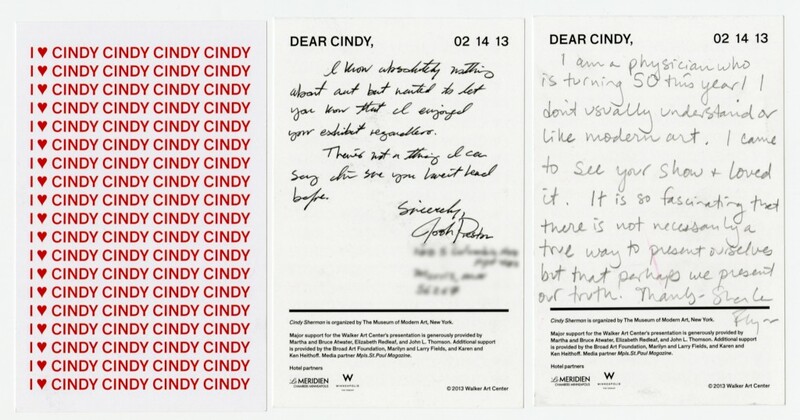 One that would embody the lightheartedness and cheekiness of pink cereal boxes perched on elementary school desks, but would also make visitors feel like they were sending a real letter to Cindy Sherman — because they were! 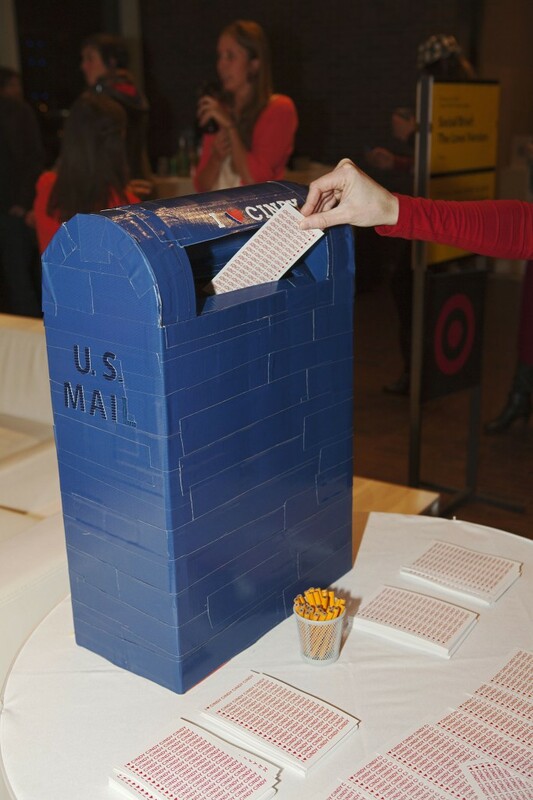 A wise nugget from Nina Simon’s keynote at the Arts Learning Xchange Symposium on Audience Engagement in Minneapolis last fall, inspired me to recreate the iconic blue U.S. postal box with cardboard and duct tape. Simon, the Executive Director of the Santa Cruz Museum of Art & History, drew a correlation between the design of participatory experiences and the quality of feedback a museum might receive from visitors. 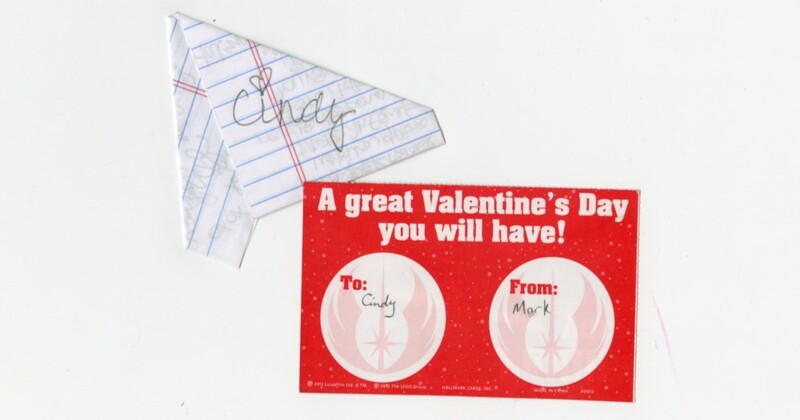 As I sent off my own Valentine earlier that week, I listened to the heavy creak of the mailbox door hinge and watched the note slide down the dark chute — a thrilling point of no return. 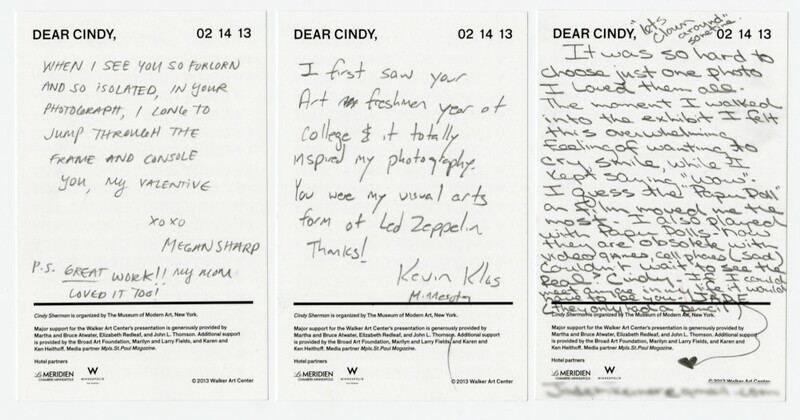 Museums often provide forums for visitor feedback, but rarely do handwritten comments make it back to the creator of an object or artwork. Could a low-budget mailbox communicate that unique opportunity and inspire visitors to pick up a pencil? 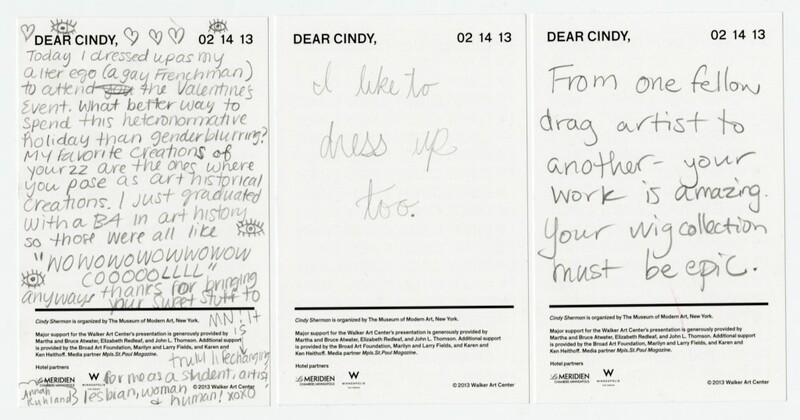 wow, just got home to an adorable package of Valentine’s Day cards from museum-goers at the Walker – what a wonderfully charming idea! i’m so touched & what a cheer-er upper! thank you guys so much for such a great idea. 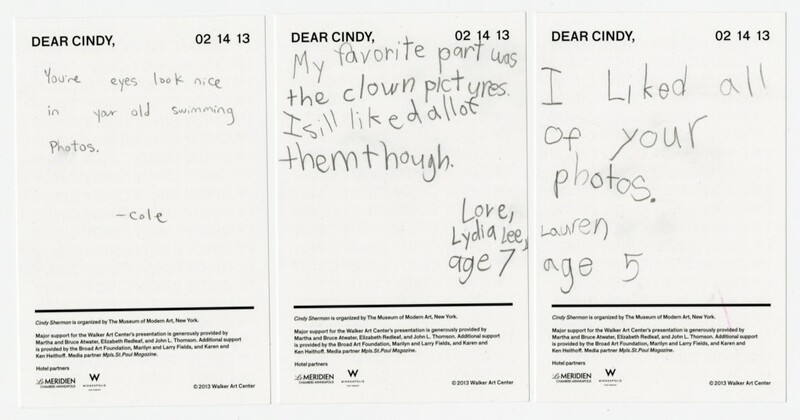 i can always say, i got the most Valentine’s Day cards ever, from the art-loving folks of Minneapolis!